Publishers choose the books to put out on bookstore shelves, hoping that some will buy and perhaps read them. Yet, many of them go unnoticed among the countless books that are released every day. This is much more the case with translated materials. The odds are very low that an American would read Korean literature. ”It‘s hard for American writers to reach an audience. Then you start adding writers from another culture. To me, that’s exciting. That is what books are for,” said Ira Silverberg, a senior editor at Simon & Schuster, during an interview with The Korea Herald at Coex in southern Seoul on Wednesday. 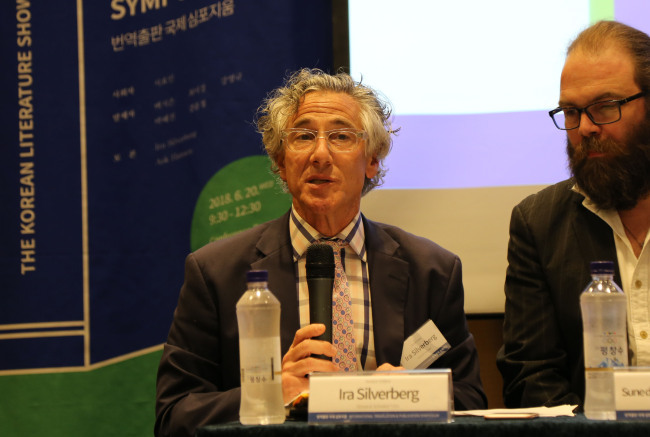 Silverberg was in Seoul to participate in the Korean Literature Showcase, hosted by the Literature Translation Institute, aimed at promoting Korean literature. “But publishers are scared about investing money and losing propositions,” Silverberg added. Silverberg said he appreciates the efforts made by Literature Translation Institute of Korea, which offers the editors with translation samples of Korean literature, to which they would otherwise not have access. 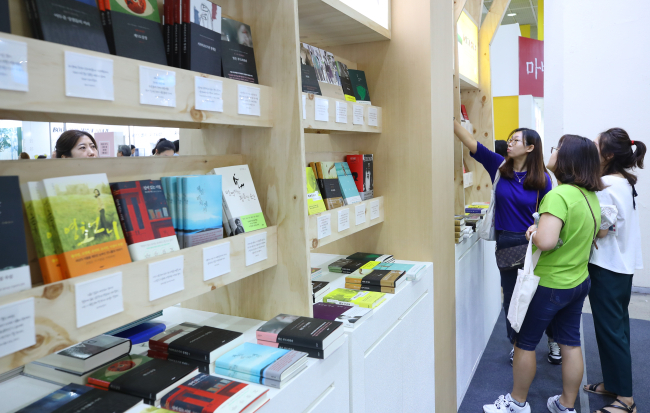 The 2018 Seoul International Book Fair kicked off on Thursday at Coex under the theme of “New Definition.” The annual book fair has invited 234 Korean publishers and 91 foreign publishing companies from 32 overseas countries. Along with publishing industry conferences, the book fair is hosting a number of events for the general public, including “Reading Clinic,” where people who have pre-registered get to talk with authors, who will, in turn, prescribe books for them. Another booth at the fair allows selected visitors to make their own audio books.